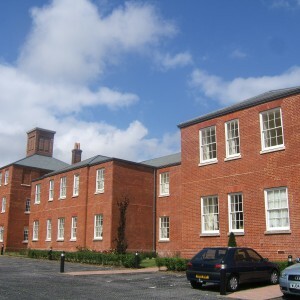 In order to comply with the 1845 Lunacy act, the County of Southampton, or Hampshire, was required to provide asylum accommodation for lunatics within its care and a site was chosen at Knowle Farm between Fareham and Wickham. 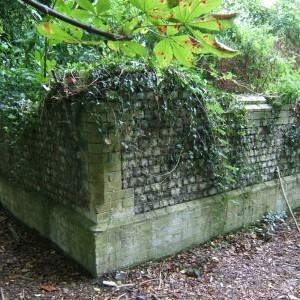 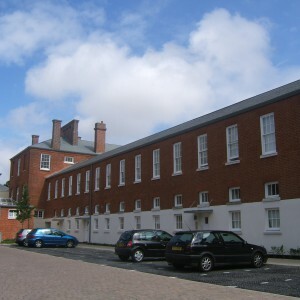 The surveyor James Harris was employed to develop a plan for the site which incorporated a corridor plan structure integrating the usual service areas behind a grand administration block and separating male and female wings. 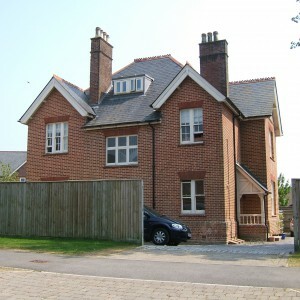 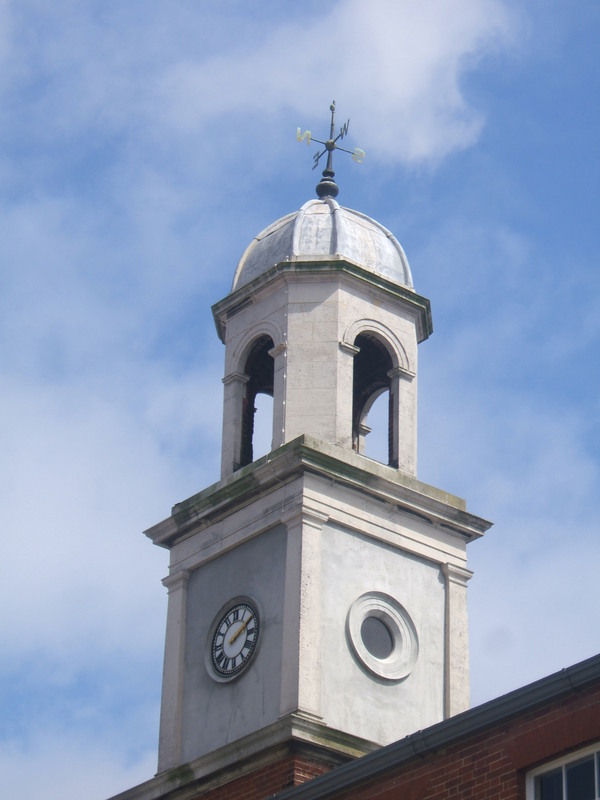 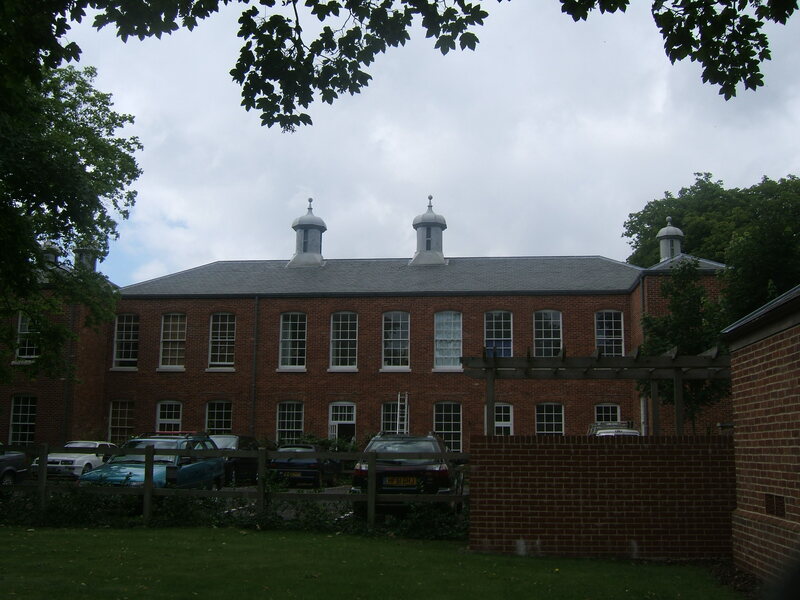 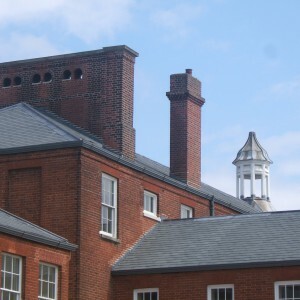 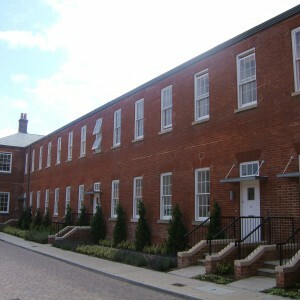 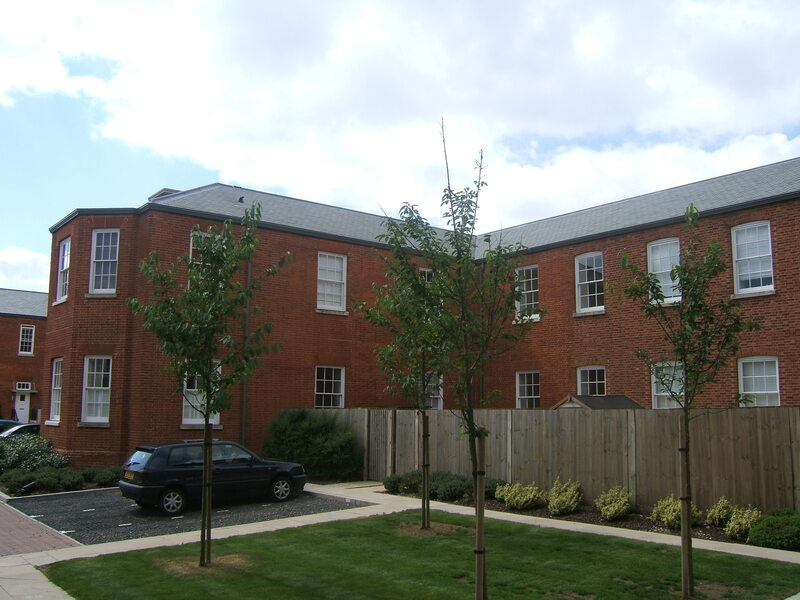 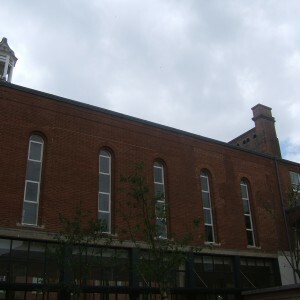 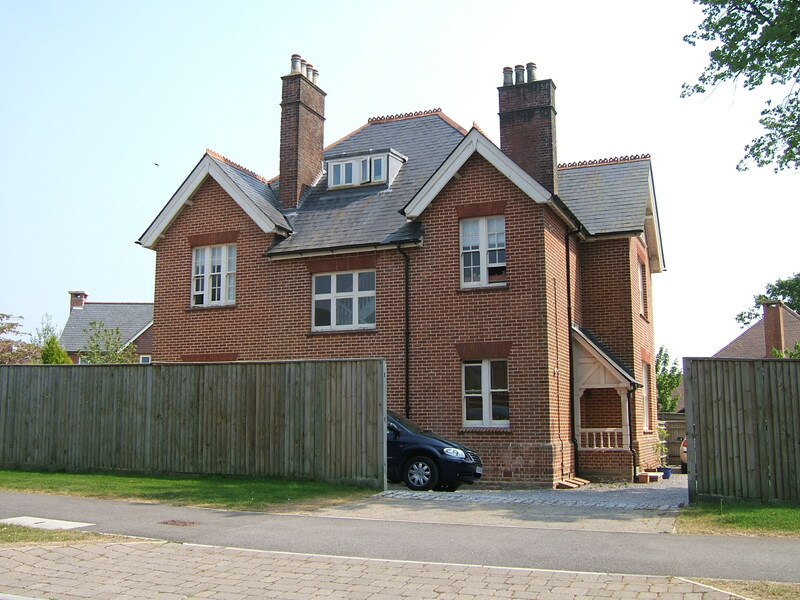 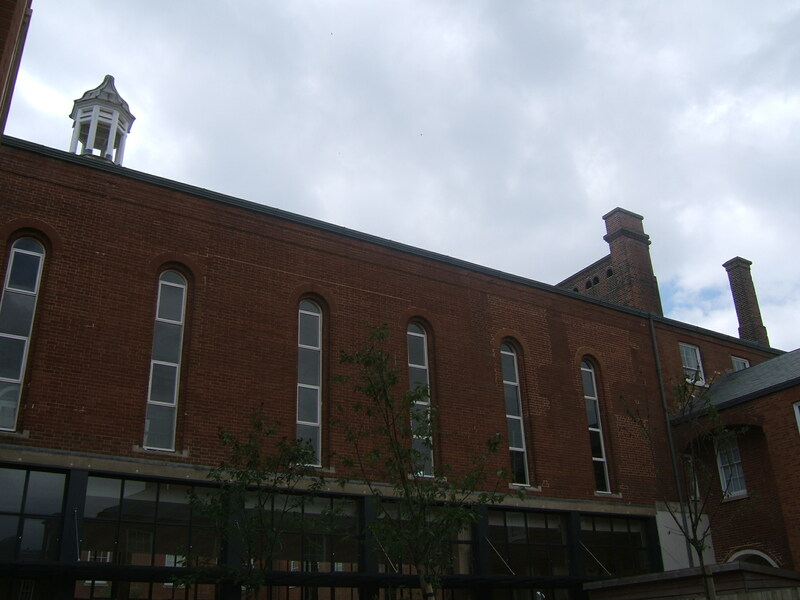 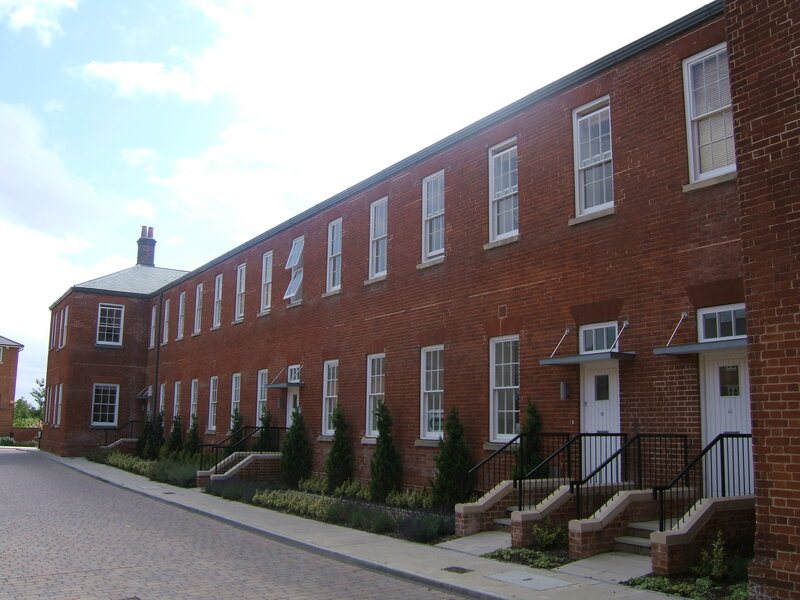 The building was constructed from red brick with grey slate roofing. 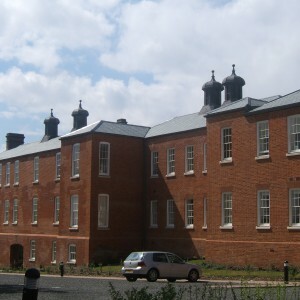 Harris was also responsible for additions to Hanwell Asylum, Middlesex and the design of the Hatton Asylum, Warwickshire. 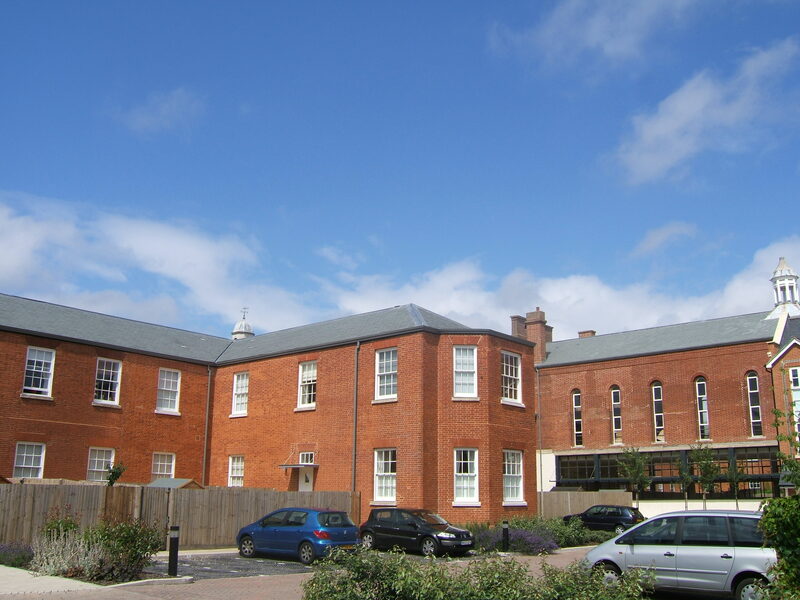 The simple two storey ward wings were later supplemented by day rooms with bay windows to expand the original galleried areas. 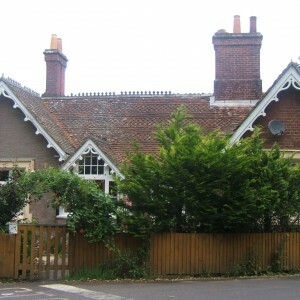 The southern boundary of the site lined the London and South Western Railway’s Eastleigh to Fareham Line although at that time little use was made of the convenient rail connection. 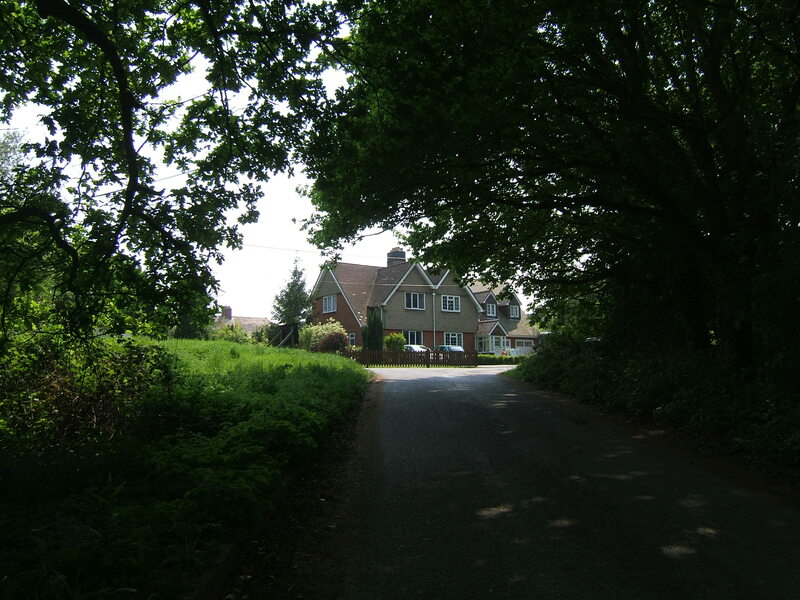 The site was approached from the north via Mayles Lane from Wickham, which wound through the site itself, leaving by a bridge over the railway toward the village of Funtley. 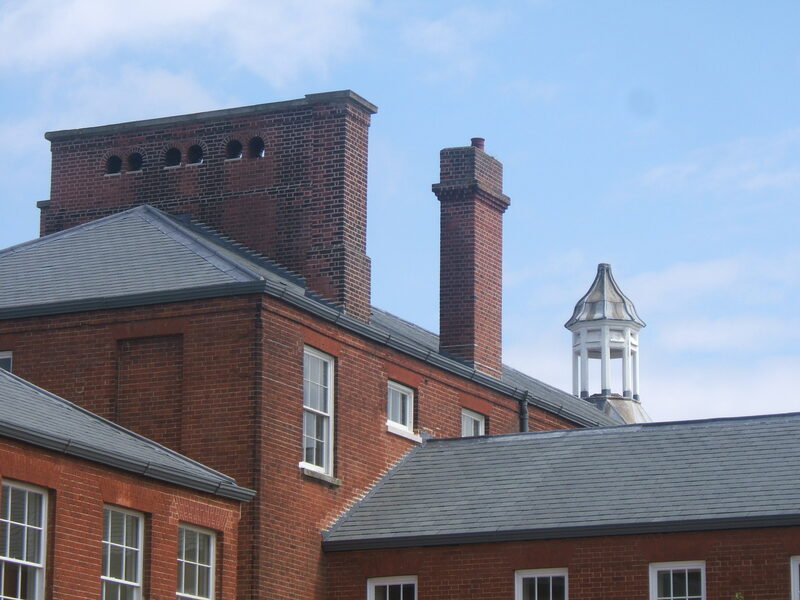 Soon after opening in 1852 demand for space meant that extensions were necessary, with extensions added to either end and south fronts of both male and female wings. 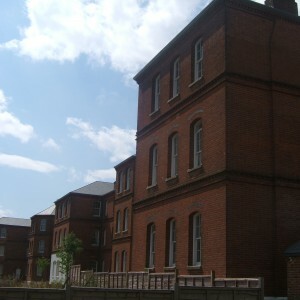 Further extensions took place around 1870 when a separate three storey block for chronic lunatics and Idiots was constructed south of the main frontage to free up space for curable lunatics in the main building. 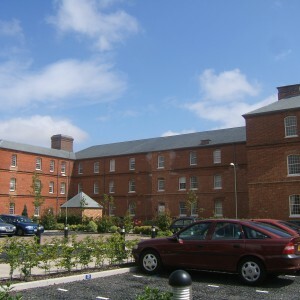 Similar structures were constructed around this time at other county asylums, most notably for Warwickshire, Worcestershire, Norfolk and Durham. 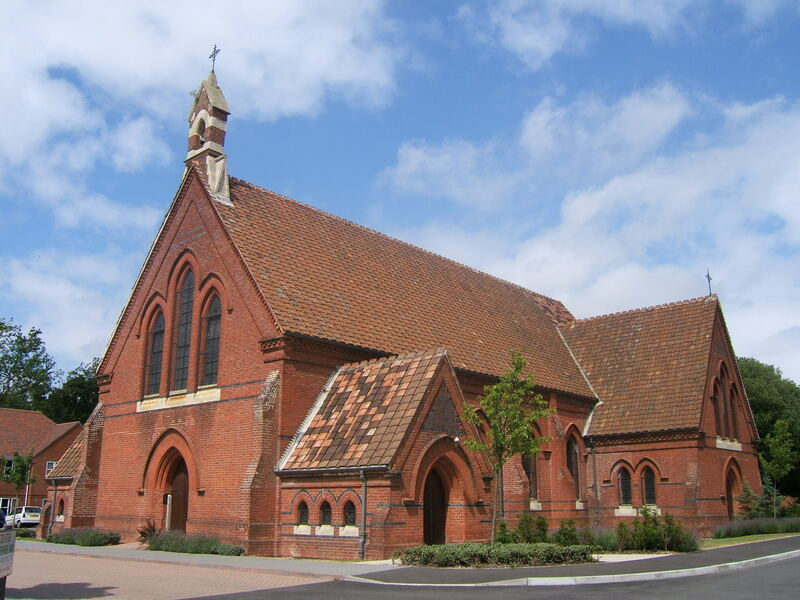 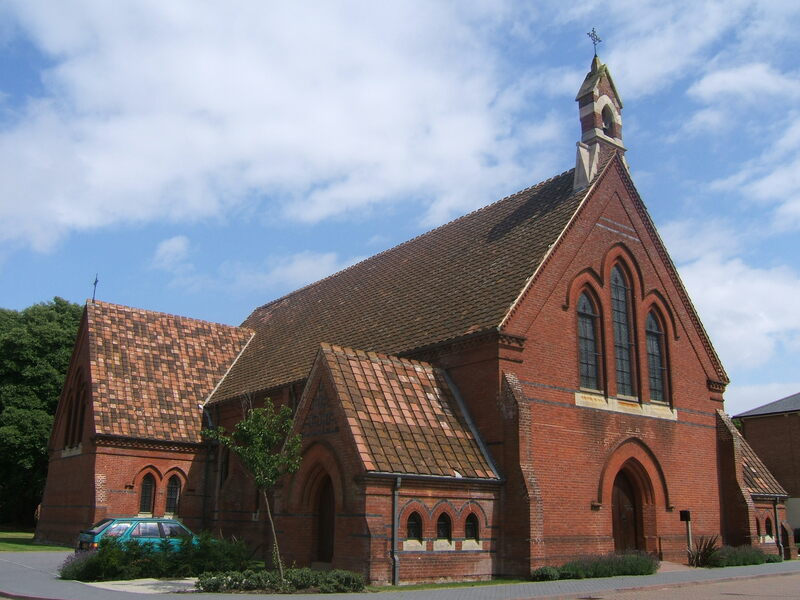 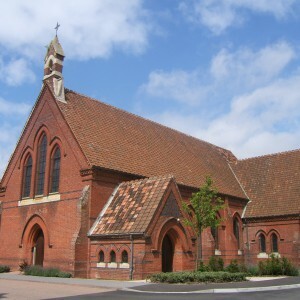 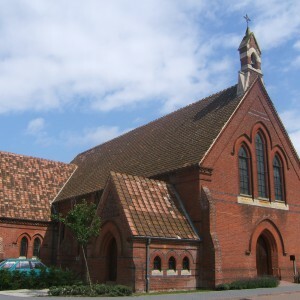 A detached chapel was also built in 1875 which freed further space in the main building. 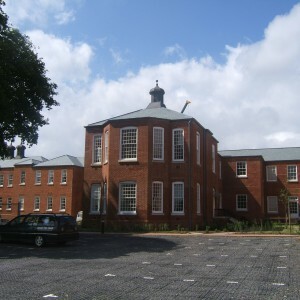 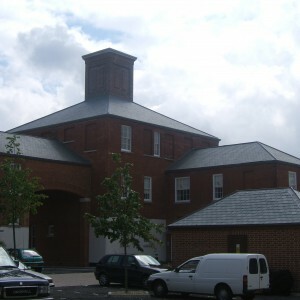 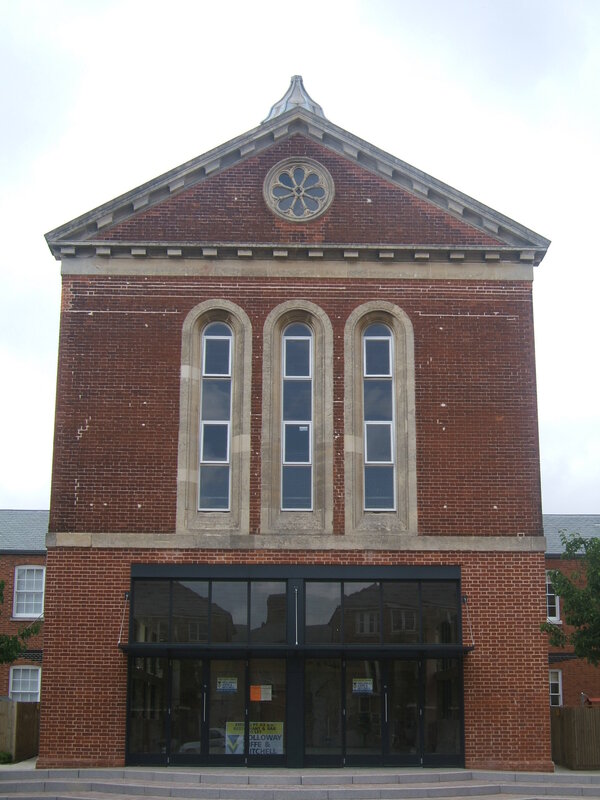 Portsmouth borough inmates left the county asylum and were accommodated in a new complex in Milton, they were soon followed by Southampton Borough inmates although these were accommodated in other authorities institutions as the proposed Borough Asylum was never constructed. 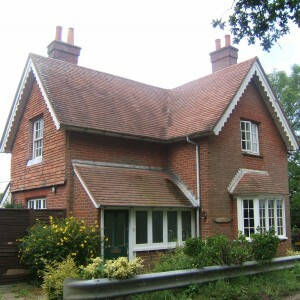 With the 1888 local government act the Isle of Wight became an administrative county in it’s own right and the newly formed county council provided their own institution at Whitecroft Farm near Newport. 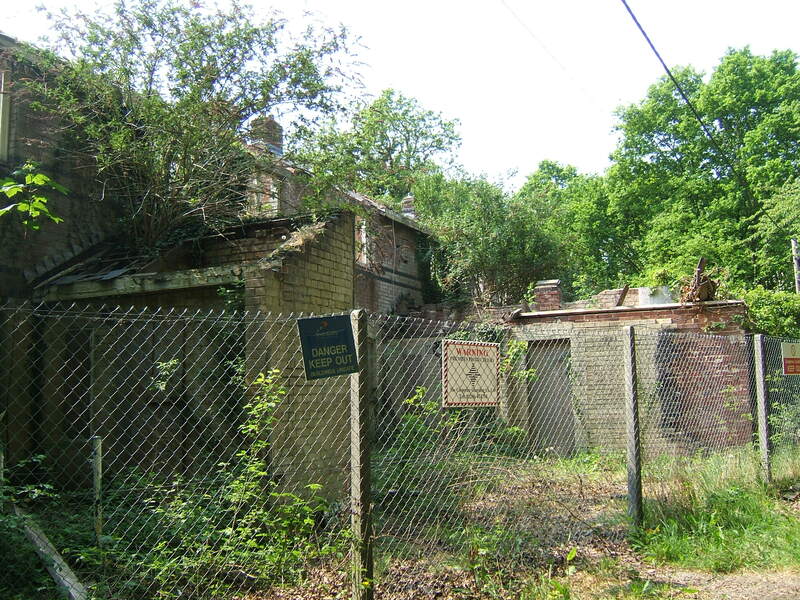 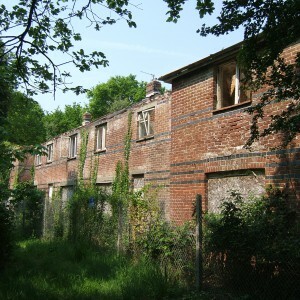 The Hampshire Authorities were at this time already contemplating supplementing their own accommodation by providing a second asylum site serving the north of the county with Park Prewett Farm near Sherborne St.John purchased for the purpose. 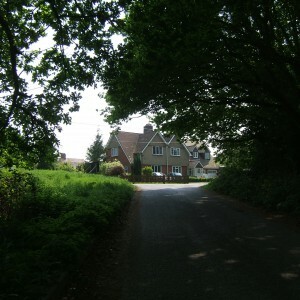 In the event, the county postponed further development repeatedly until shortly before the Great War. 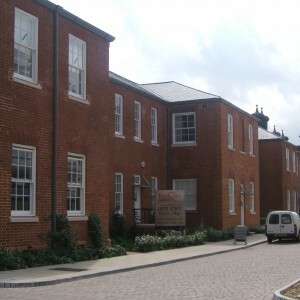 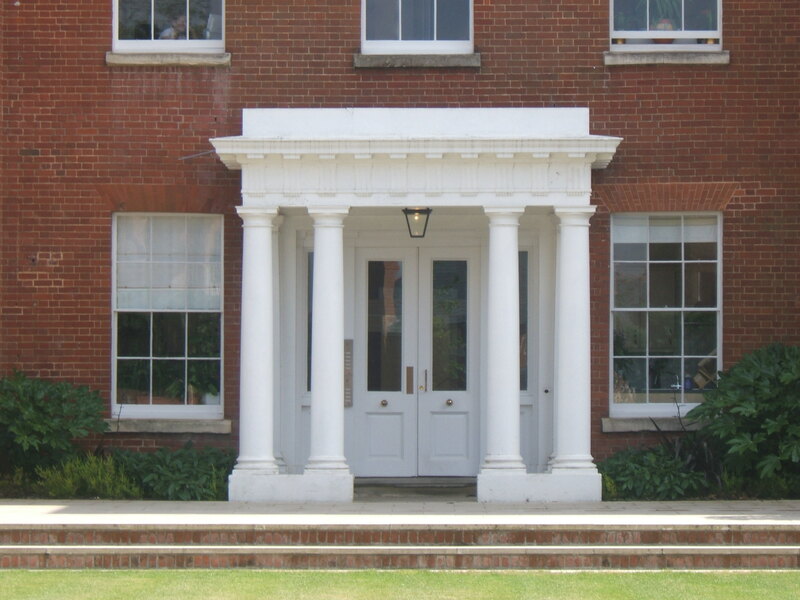 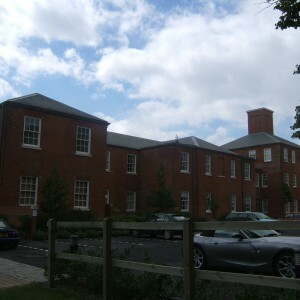 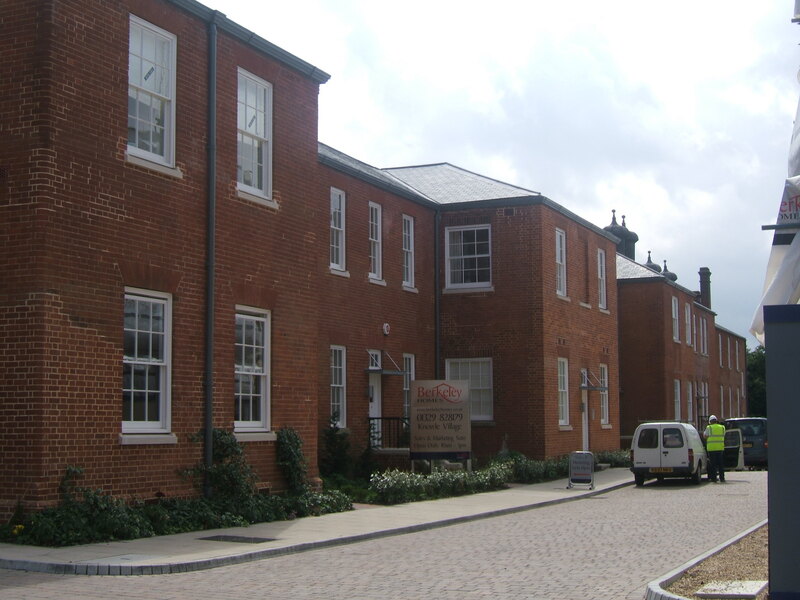 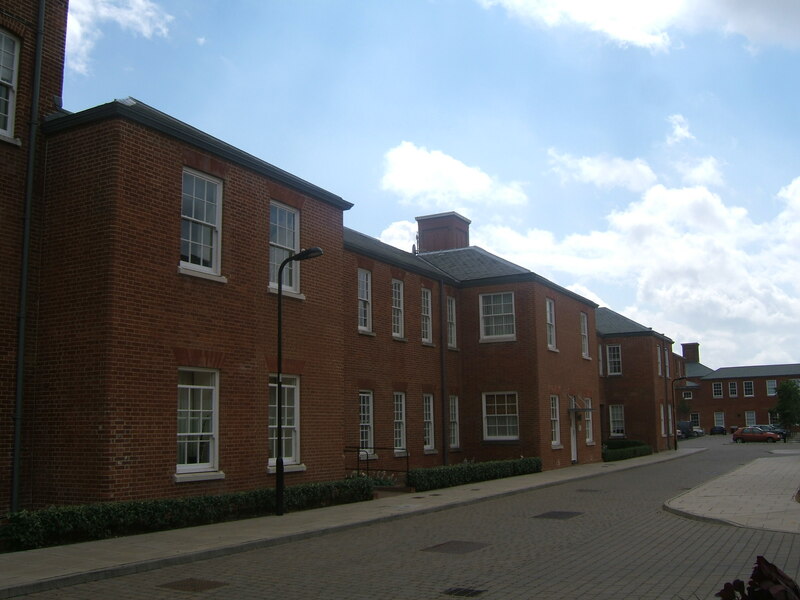 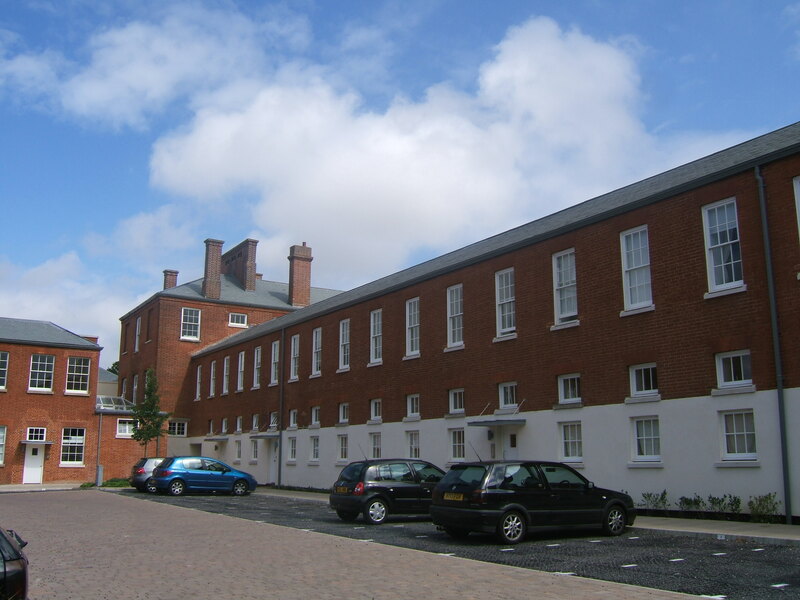 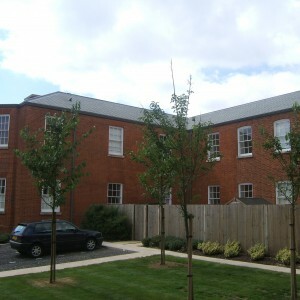 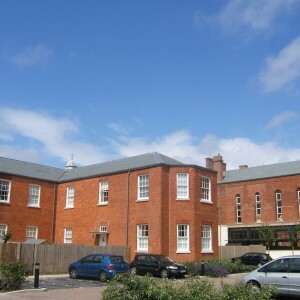 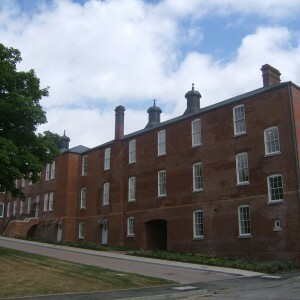 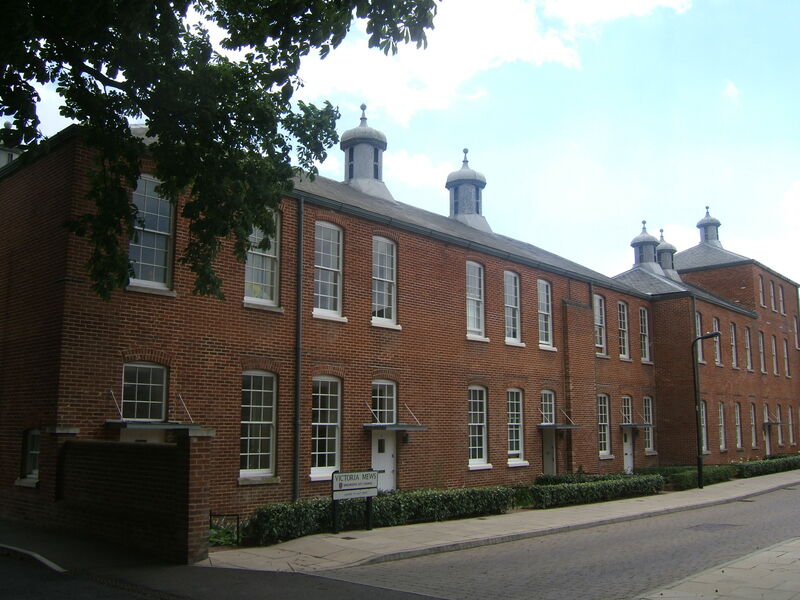 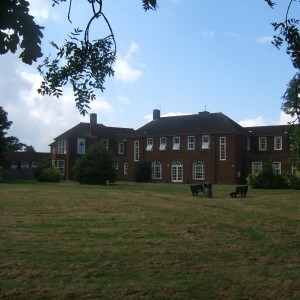 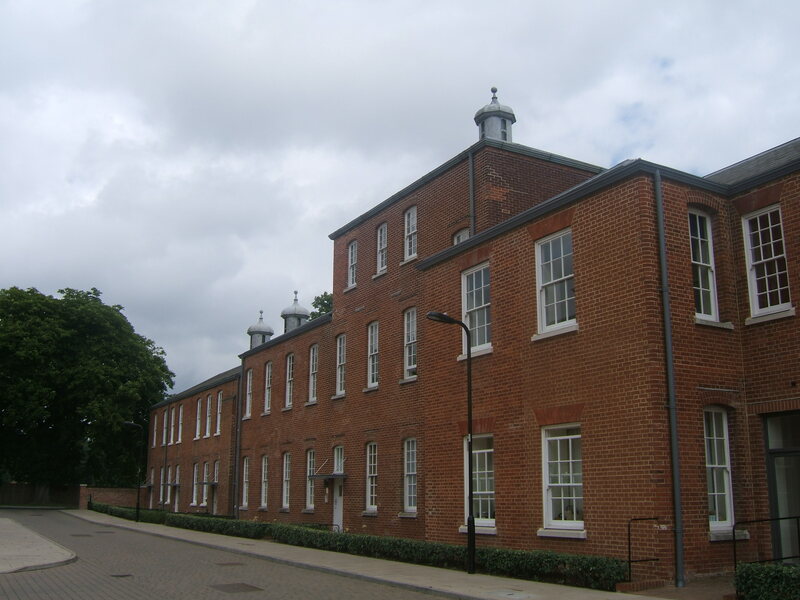 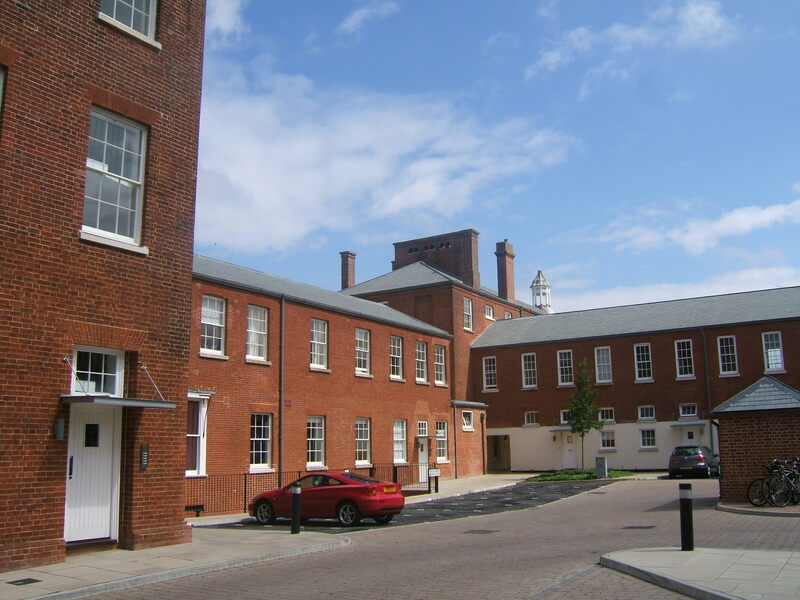 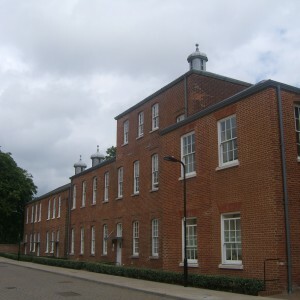 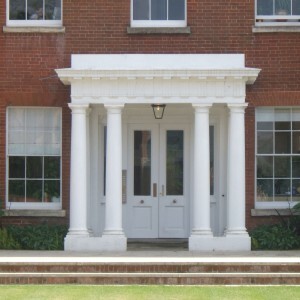 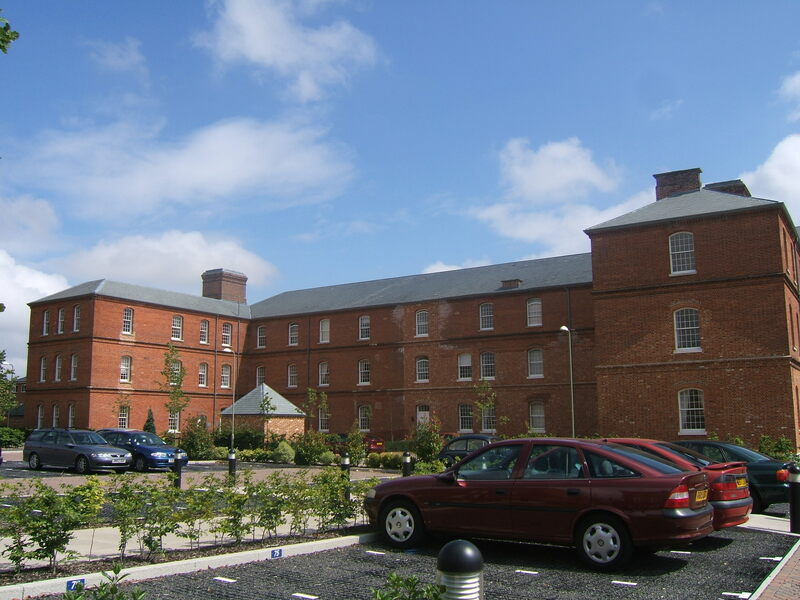 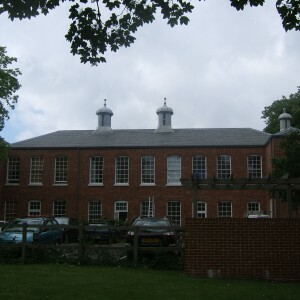 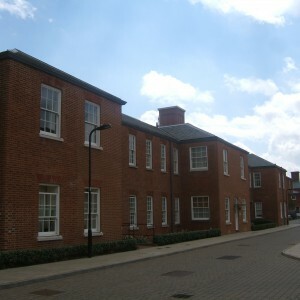 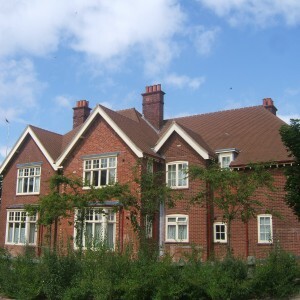 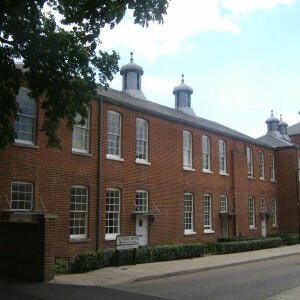 In the meantime, further space was achieved by relocating staff accommodation from the main buildings to houses within the grounds, which also made employment at the asylum a more attractive prospect. 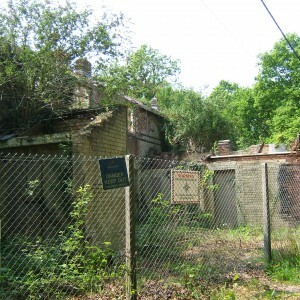 Access to the rural site was also improved with the addition of the Knowle Asylum Halt on the adjacent railway line which was opened to the public in 1907. 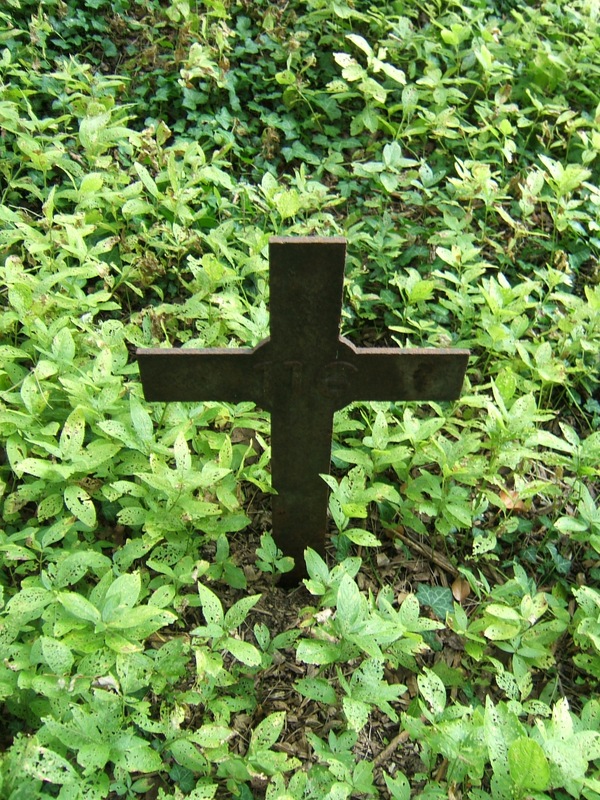 The First World War brought hardship as many male staff left to fight in the military. 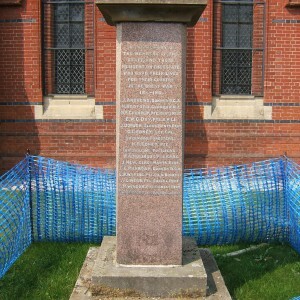 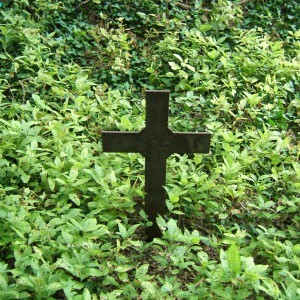 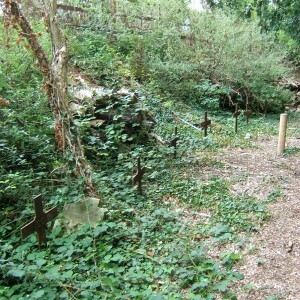 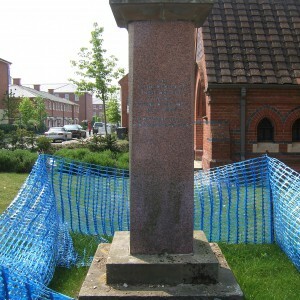 A memorial commemorated those who did not return. 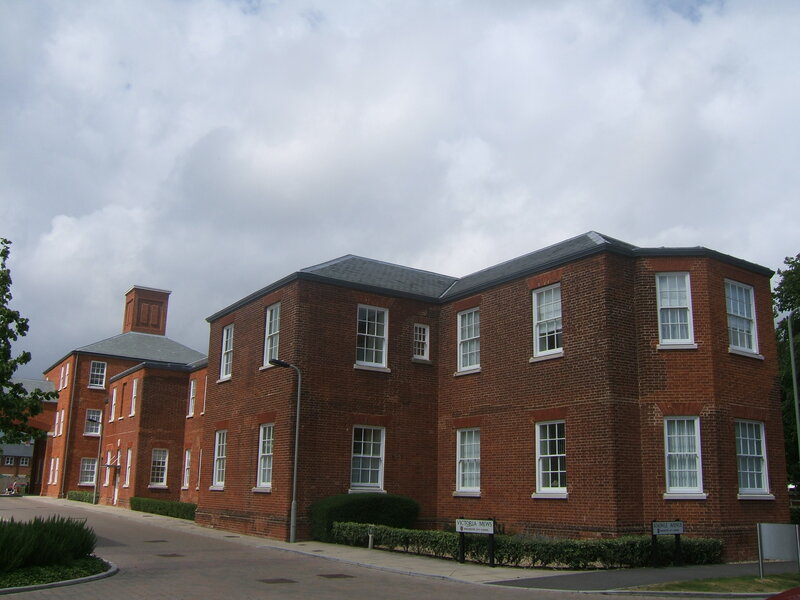 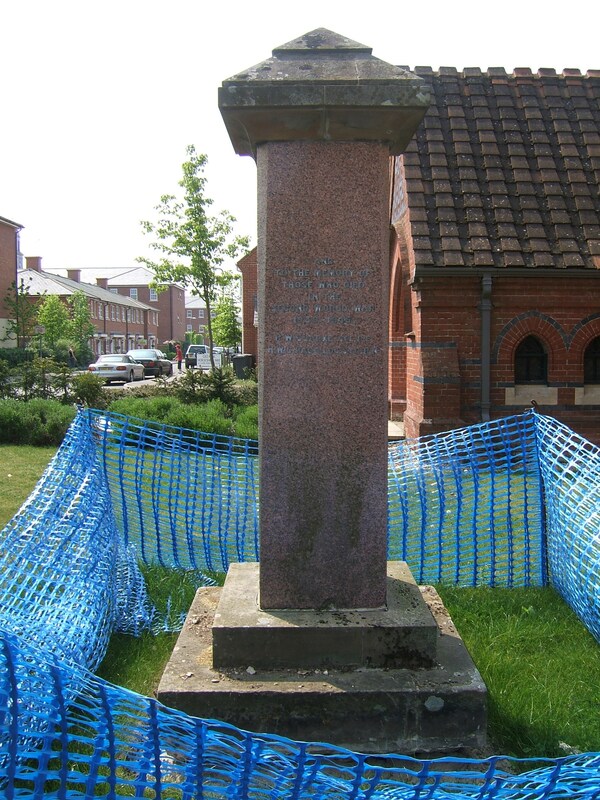 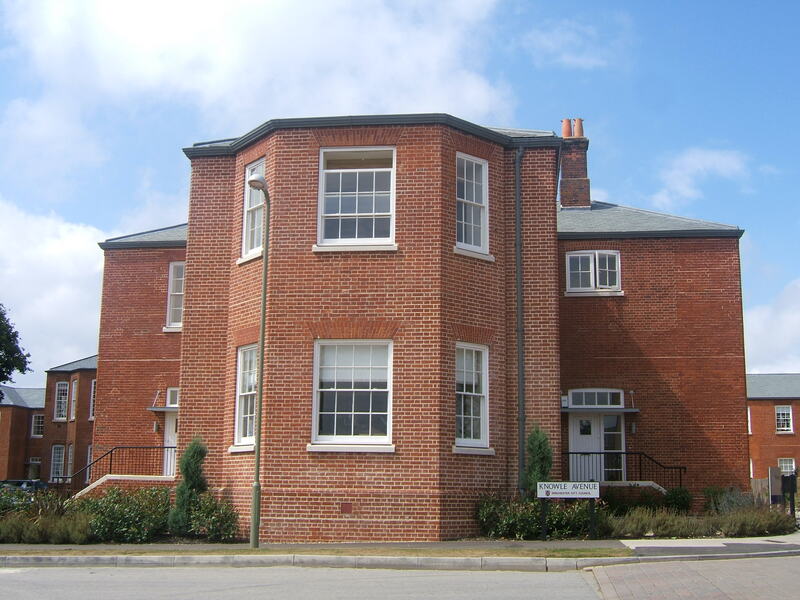 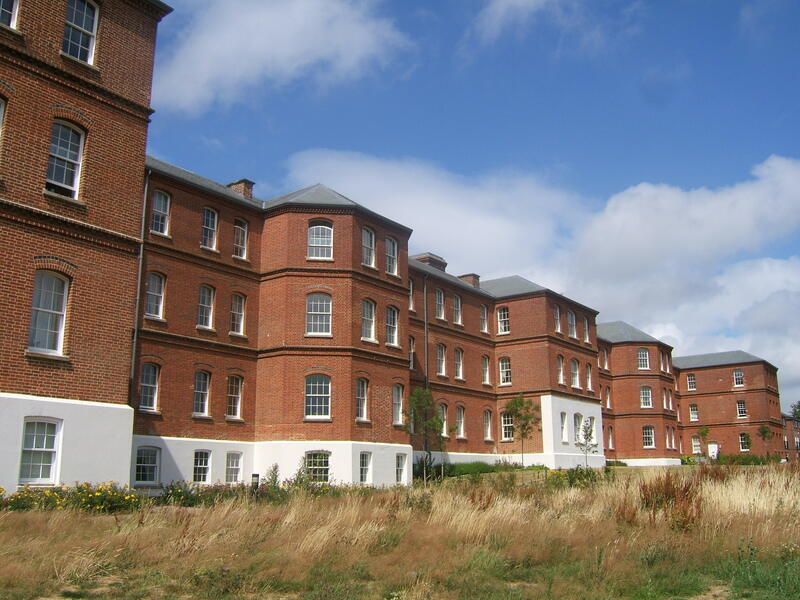 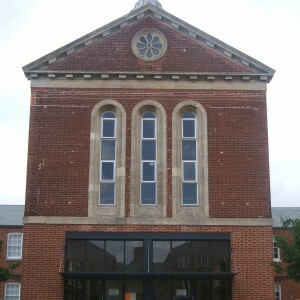 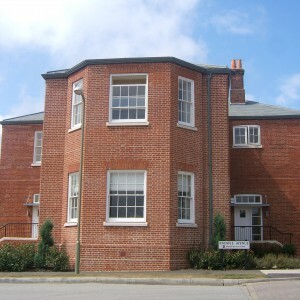 Patients were relocated from the West Sussex asylum at Graylingwell when it was requisitioned and overcrowding worsened when the Portsmouth Borough Asylum was also turned over to military use. 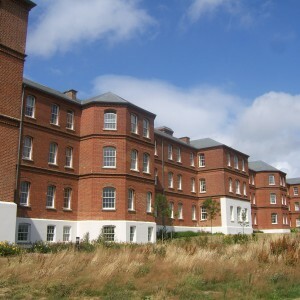 Park Prewett Asylum, although largely completed was still not available for use and had been taken over by the Canadian military. 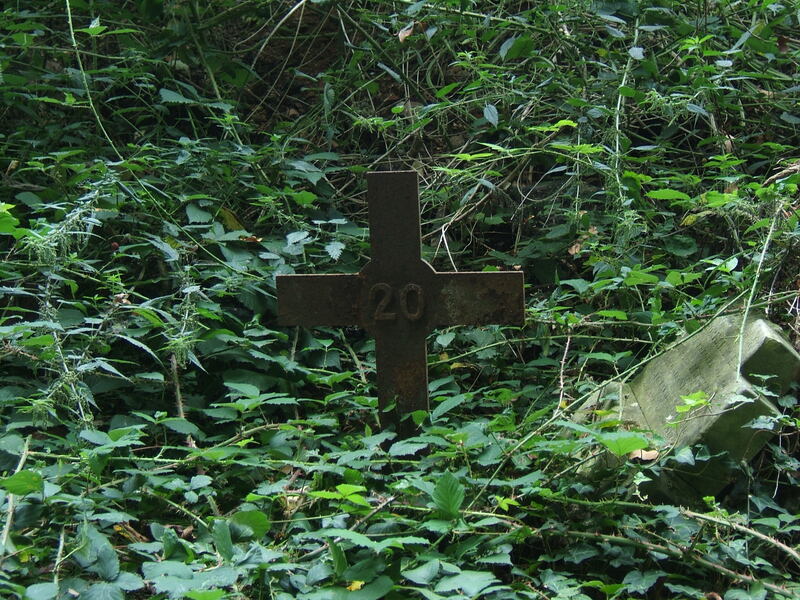 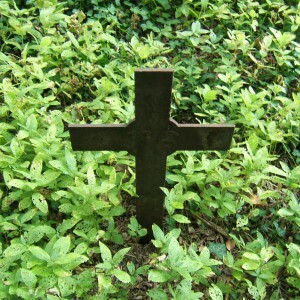 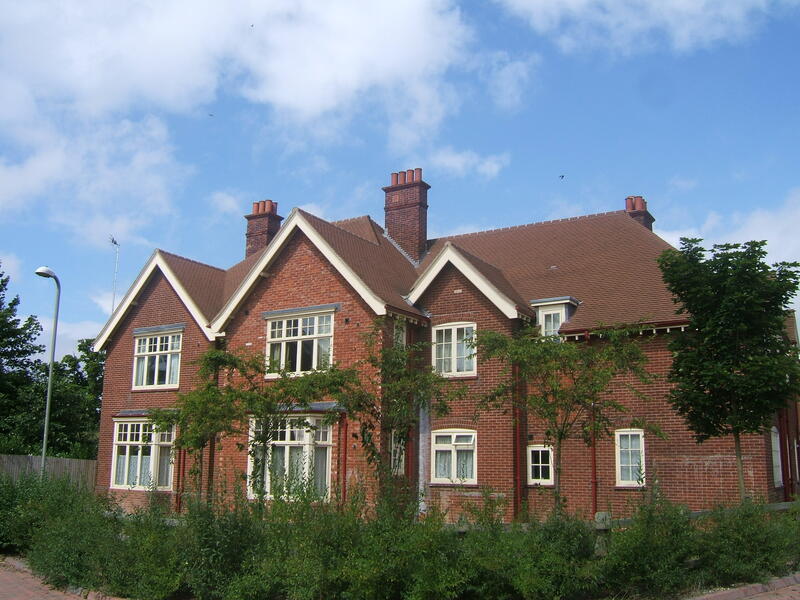 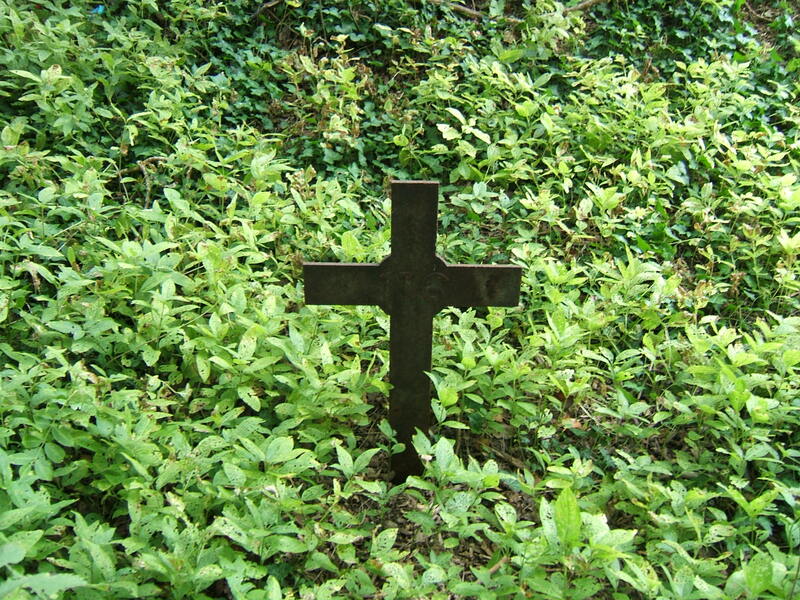 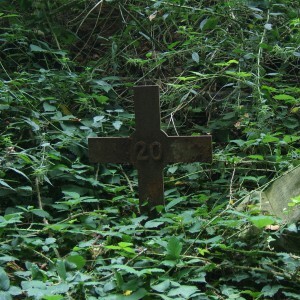 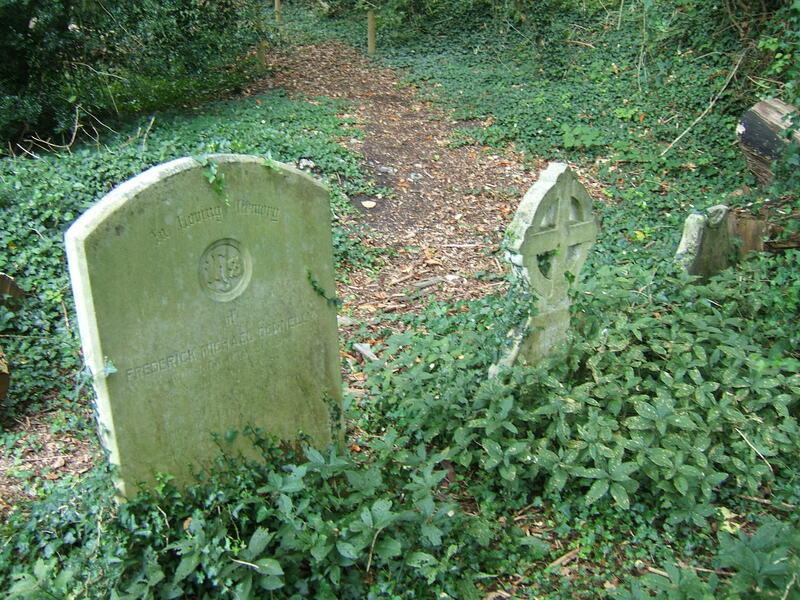 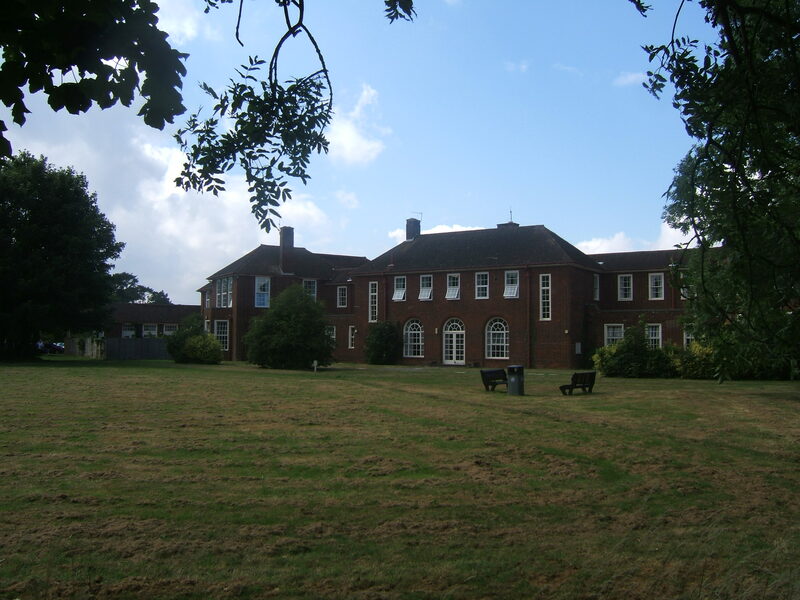 Peacetime and the interwar period saw the return of patients to their respective asylums and finally the opening of Park Prewett in 1921 after a protracted struggle by the County Council to take it back from the Ministry of Pensions. 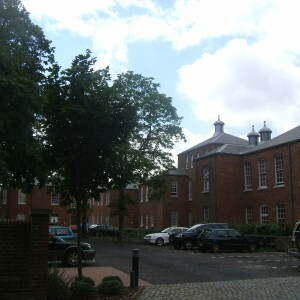 An admission hospital, Ravenswood, was opened to the north east of the main building during the late 1930’s prior to World War II. 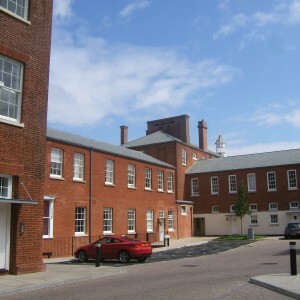 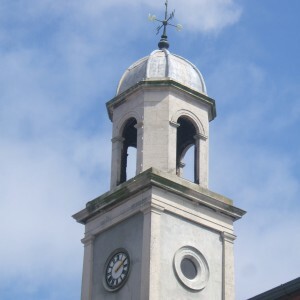 In 1948 the creation of the National Health Service brought about a transfer of management away from the County Council and closer links with other hospitals within the area although these were slow to develop. 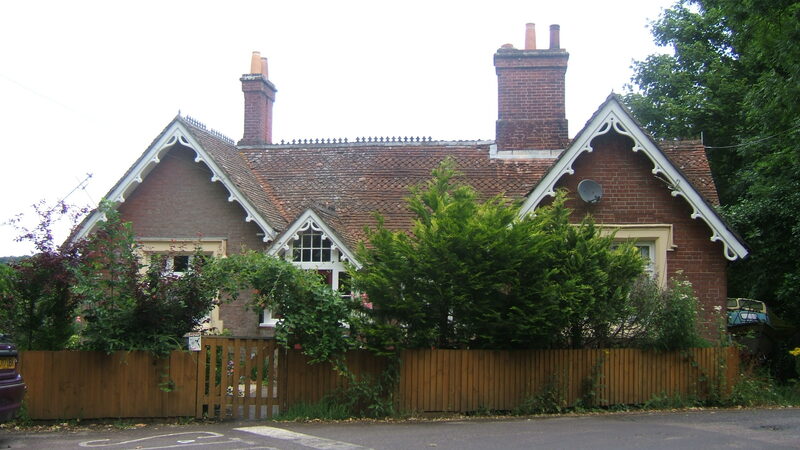 The first stages of the decline of the hospital commenced with the closure of Knowle halt in line with rationalisation of the surrounding railway services. 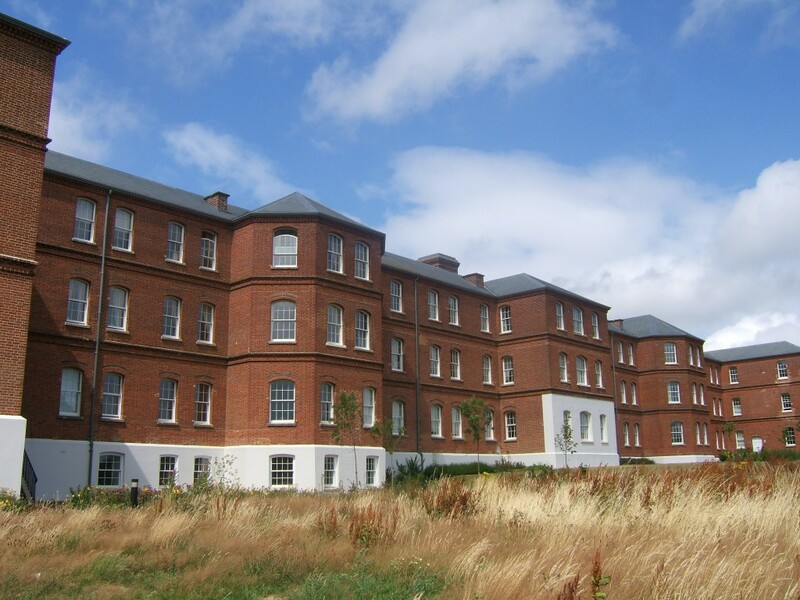 Wards in the main building were modernised as patient numbers were reduced with the introduction of new antipsychotic drugs such as Chlorpromzine and Thioriidazine which meant patients once stabilised could live outside the hospital. 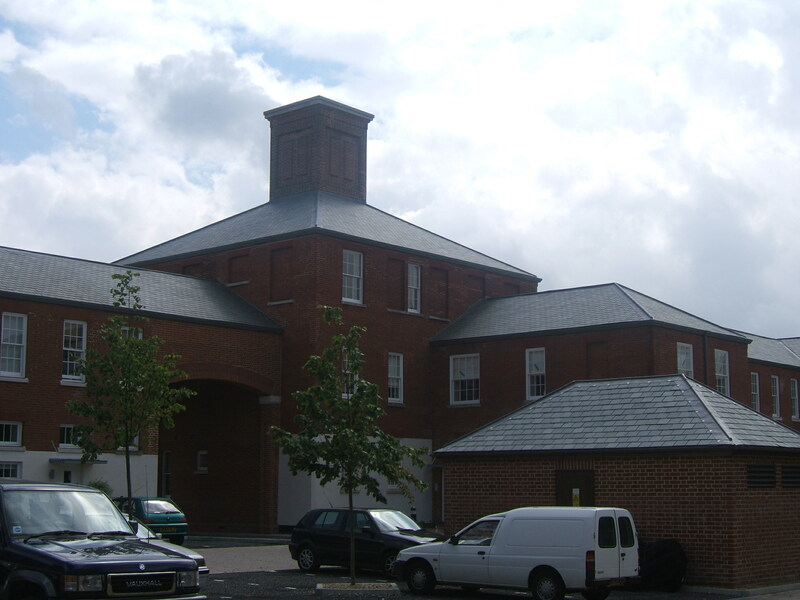 A modern boiler house was constructed to replace the old coal fired plant and the heating system upgraded. 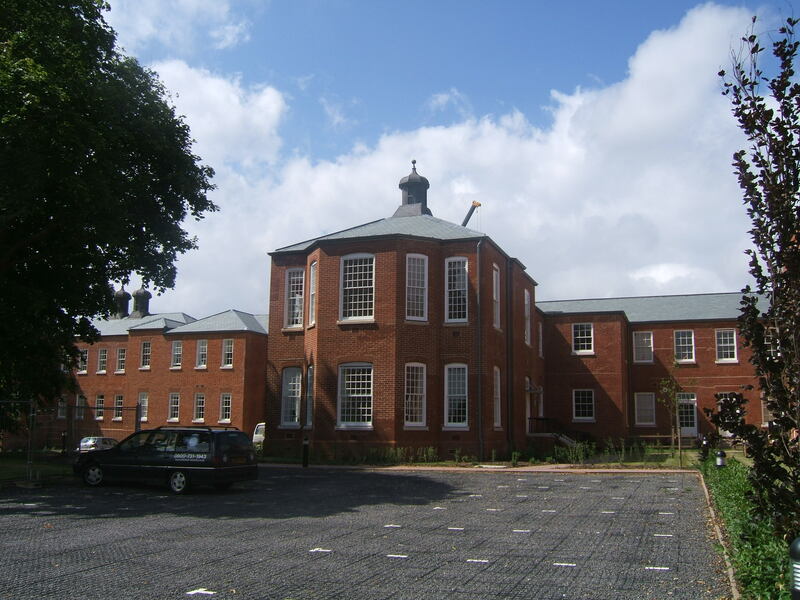 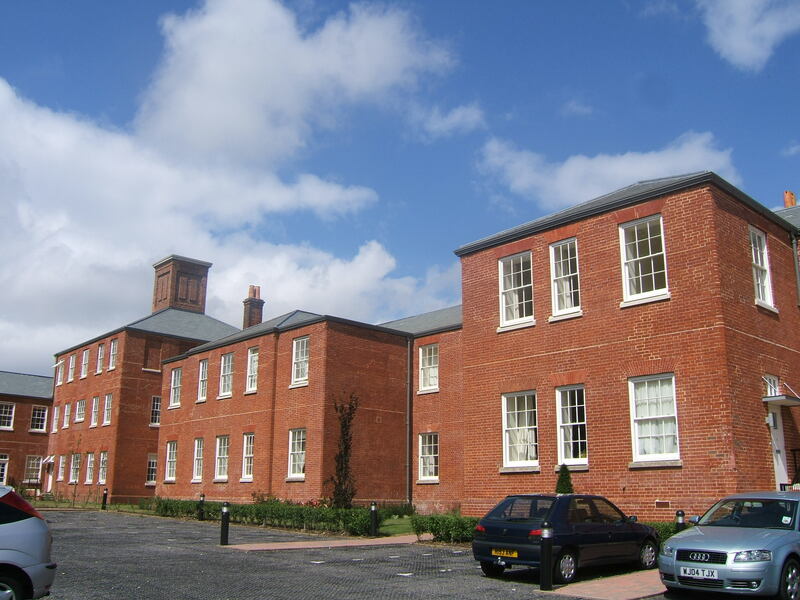 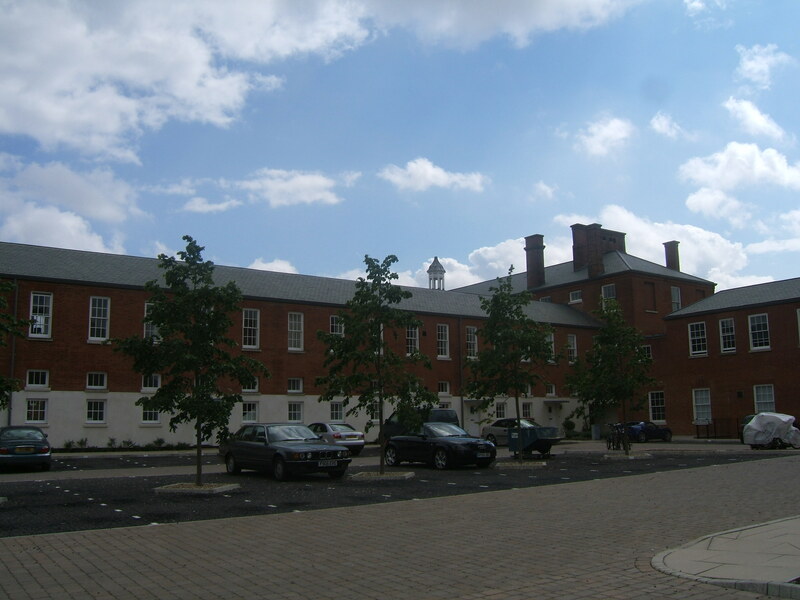 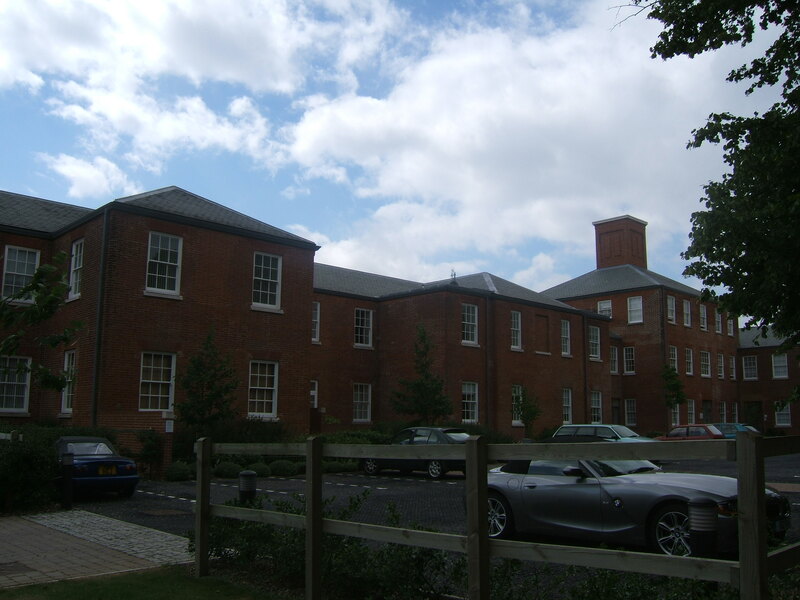 Ultimately, despite improvements Knowle hospital was still considered outdated and isolated by modern standards, with sprawling, ageing buildings which were proving costly to maintain and operate conveniently. 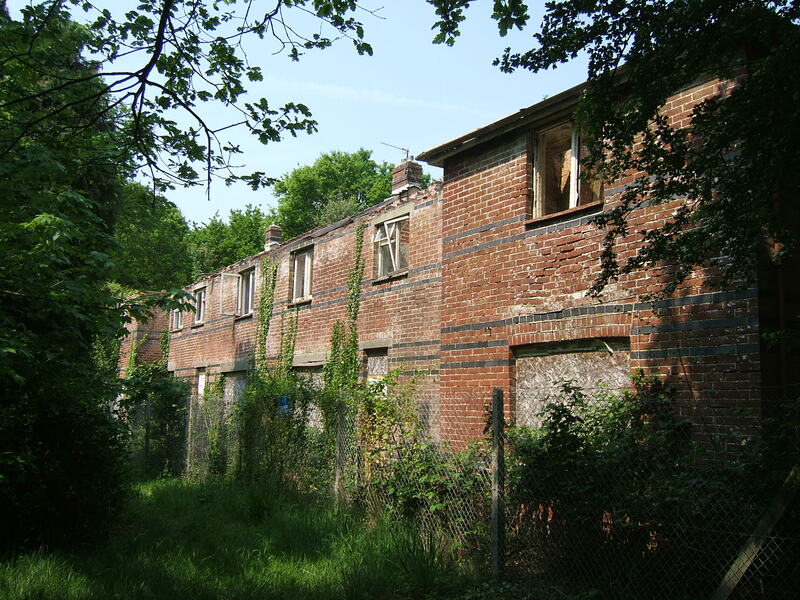 Wards were closed and concentrated closer together with outlying buildings abandoned. 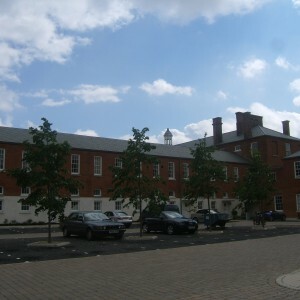 Acute services for the Southampton area were relocated to hospitals in the city itself and eventually those for Fareham and Gosport followed. 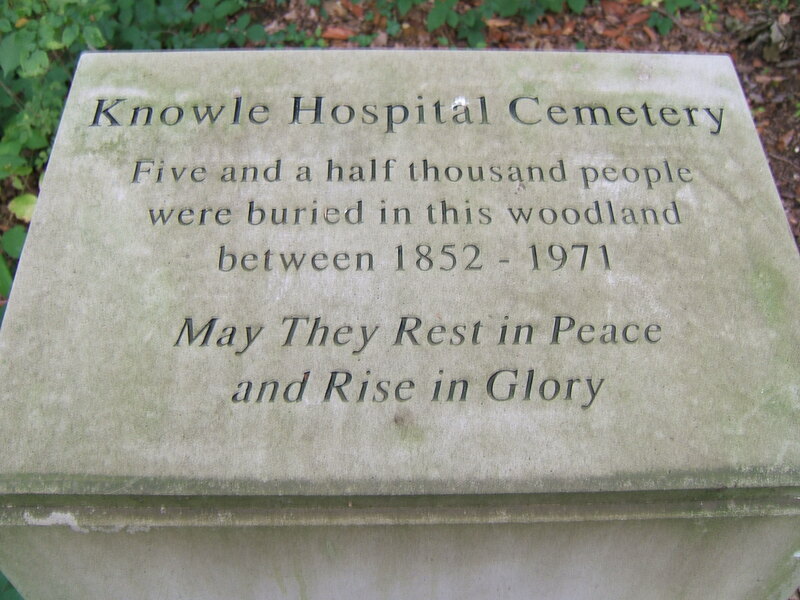 The long stay services were gradually replaced by community and nursing home care and Knowle finally closed in 1996. 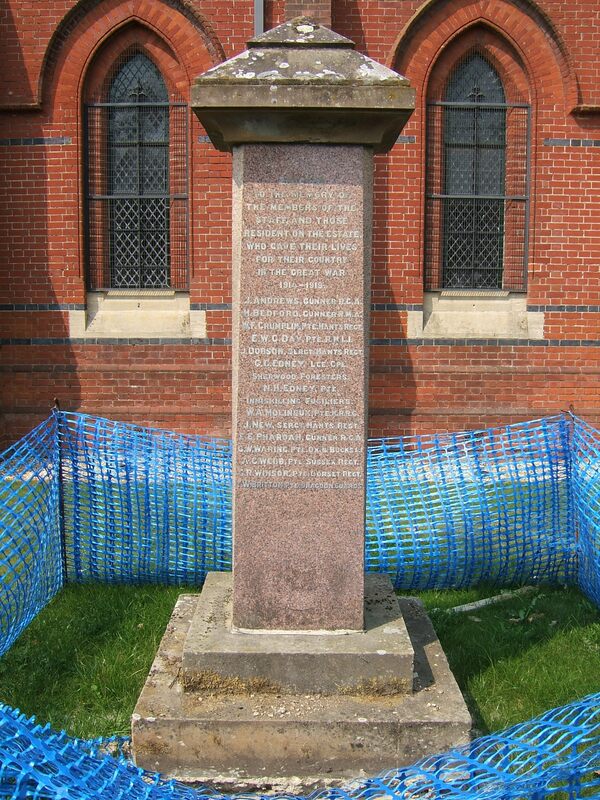 Awesome great history. 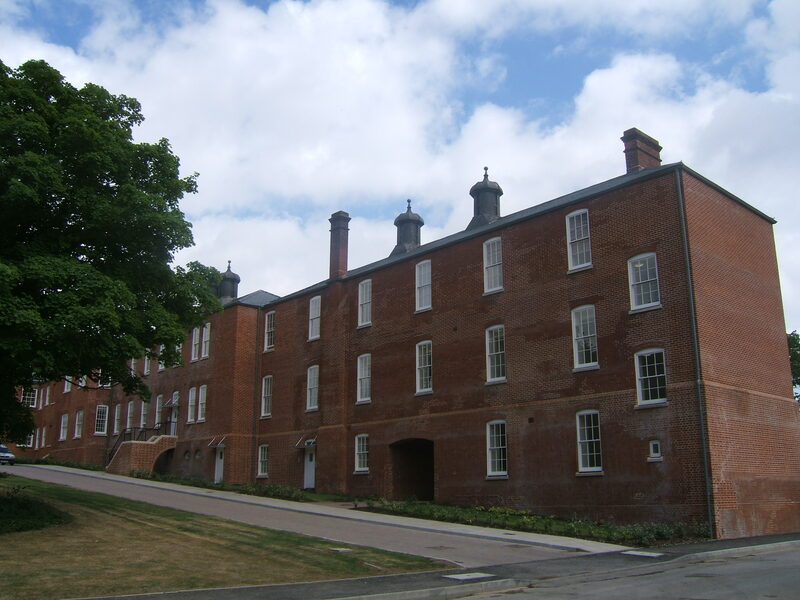 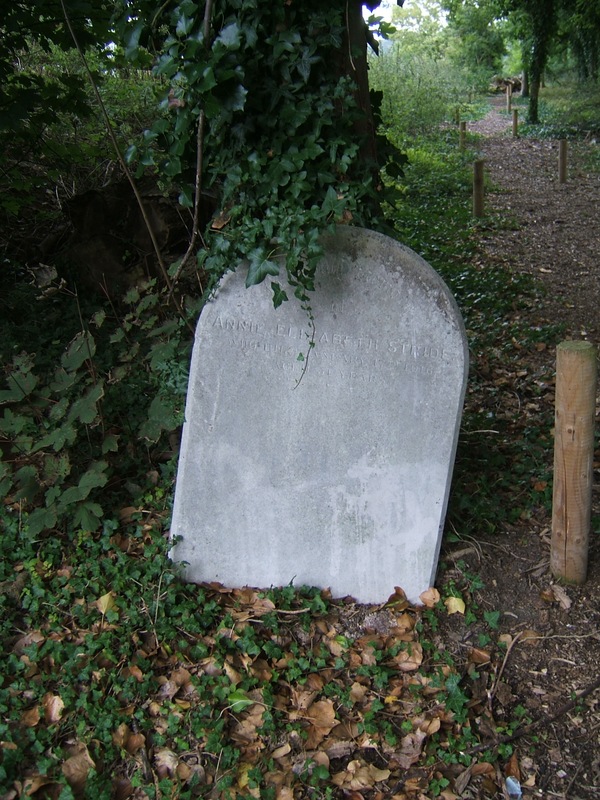 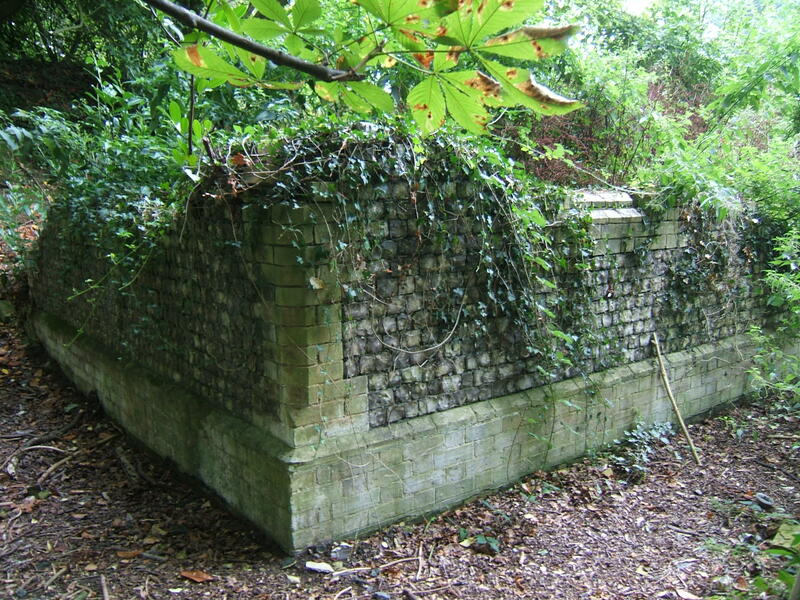 Having recently moved into the area I’ve been fascinated by the incredible past that this part of Hampshire has. 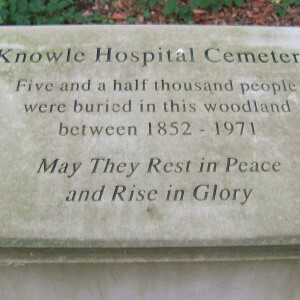 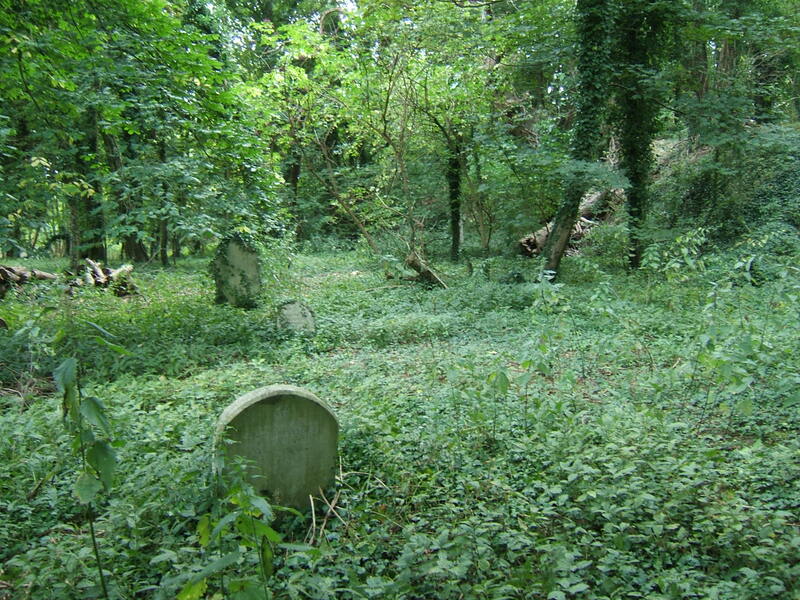 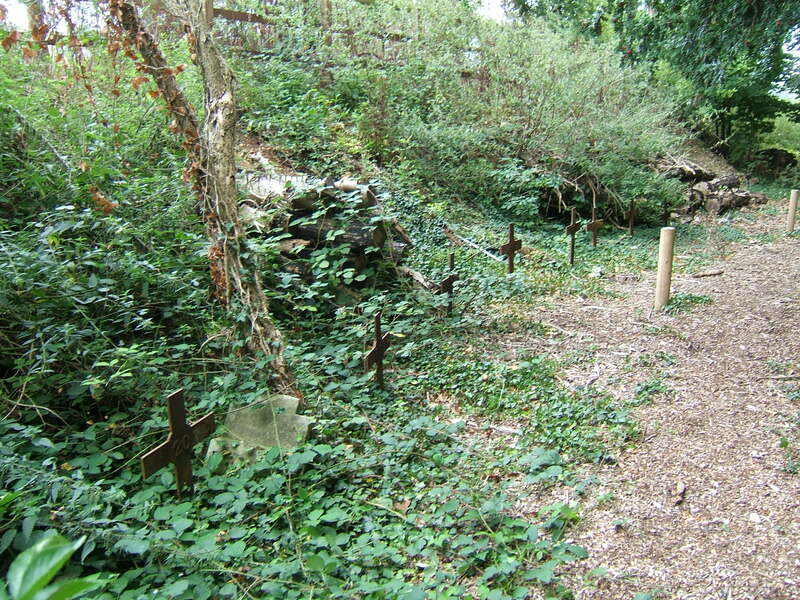 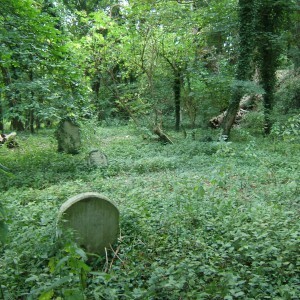 Chronic Lunatics and idiots was a telling phrase and 4500 people buried largely anonymously in a tiny area. 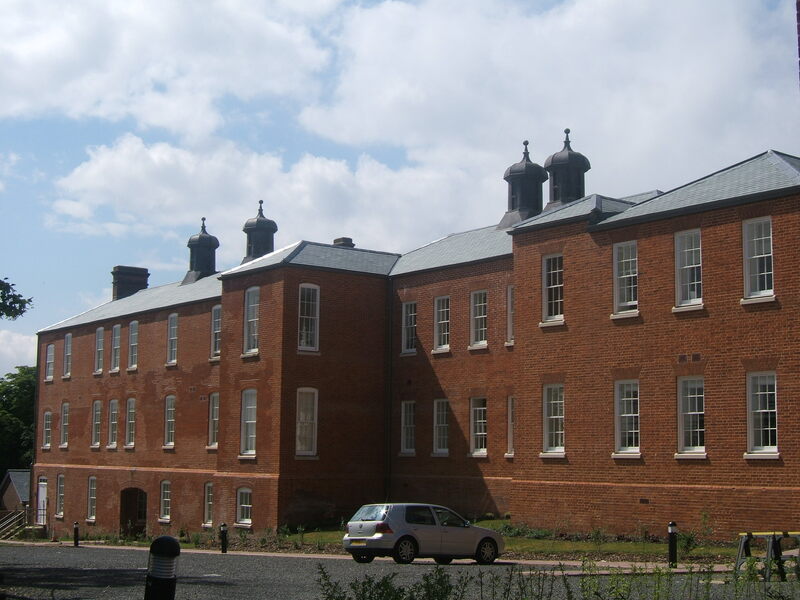 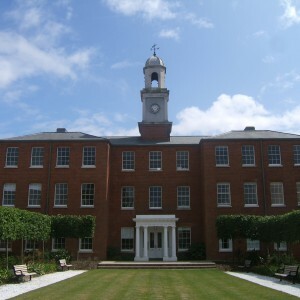 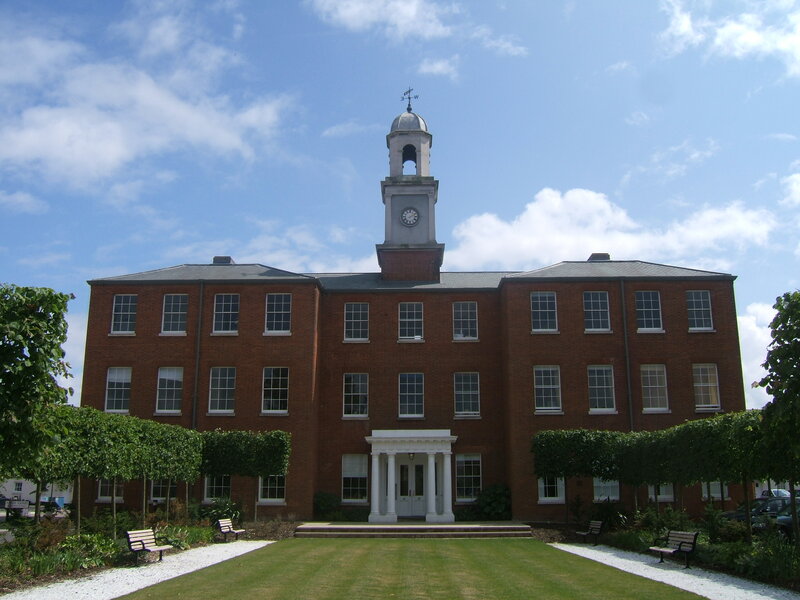 I trained at Knowle Hospital from 1967 – 1970 for my RMN. 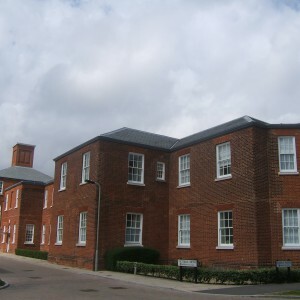 Lived in the male nurses home. 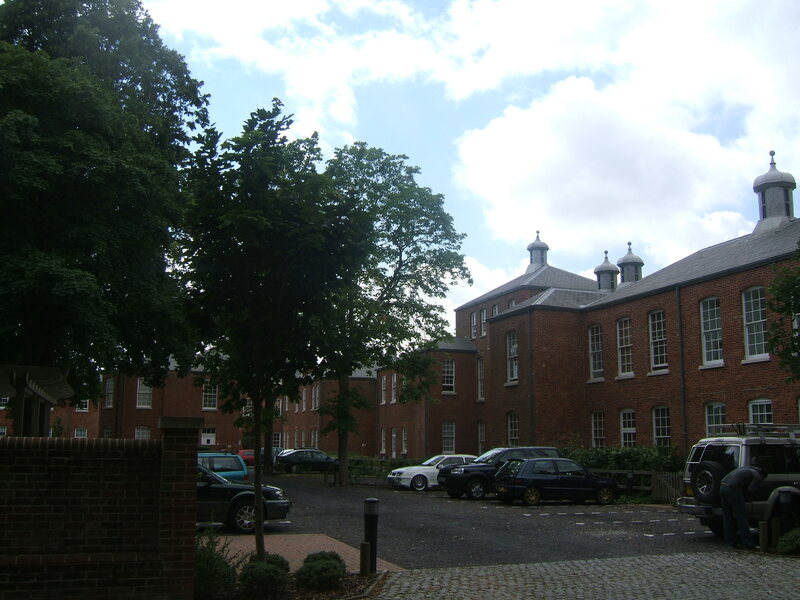 I can tell a lot about the care and goings on in that place, but were some of my happiest years as a nursing student. 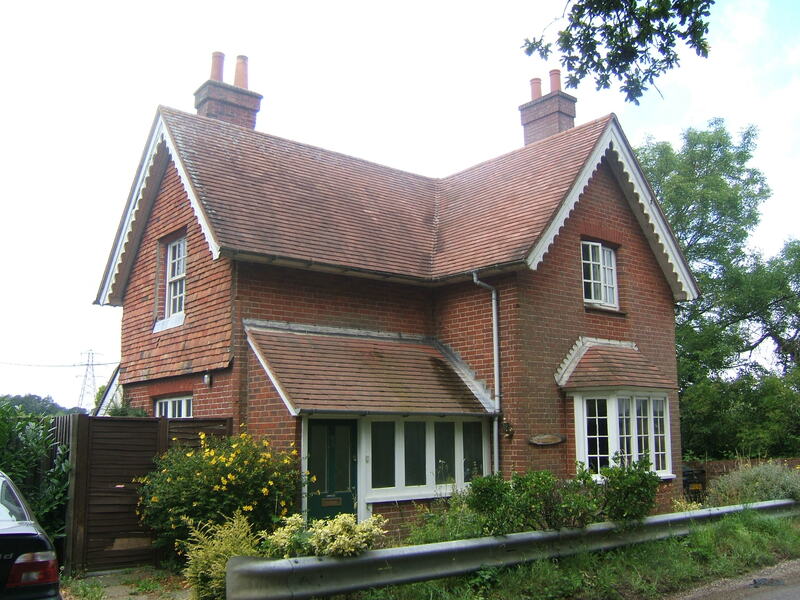 My Grandmother, Ella Warner (nee Biggs) lived (1911 census) and worked there in the early 20th century. 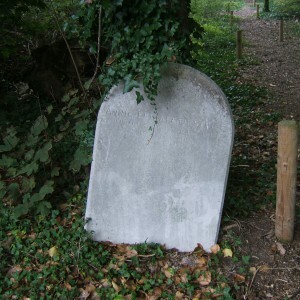 Wonder if any records still exist from that period ! 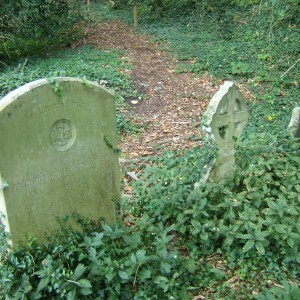 Hi, thanks for putting some information on here and images, really interesting. 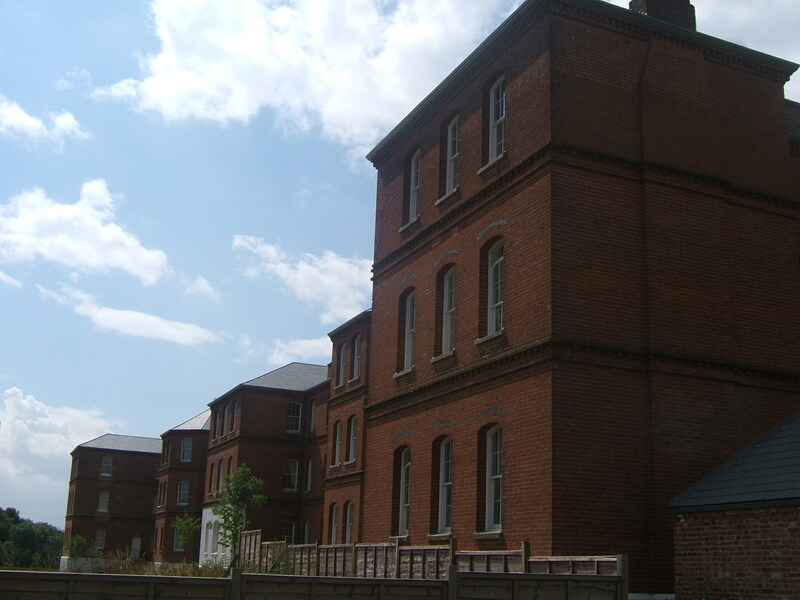 My GGreat uncle was in this asylum 1884-1917.